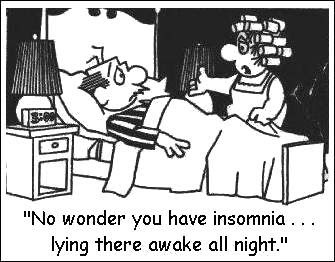 Many people nowadays are afflicted with sleep disorder. ... Some famous people who are known to have suffered from sleep disorder are Napoleon Bonaparte, Winston Churchill, Isaac Newton, Thomas Edison, Abraham Lincoln, Theodore Roosevelt, Margaret Thatcher, Charles Dickens, Cary Grant, Marilyn Monroe and many more. It is critically important to realize that sleep deprivation is often due to unrecognized sleep disorders. ... There are more than 100 different sleep disorders. Sleep disorder increases the risk of serious and chronic health conditions, including depression, diabetes, hypertension, heart disease and obesity. Doc Mench also lists types of sleep disorders, treatments for them and foods that contribute to them. I commend you to her blog for more info about this and other topics. I found out that my sleeping disorder was sleeping on my stomach, which was causing chronic mid back pain. Now my sleeping disorder is learning to sleep on my side. I sleep an average of 5 hours a night. I haven't used an alarm clock in years. My wife is trying to get me to sleep more...so far, it ain't working.